Australian MX2 contender to make grand prix debut with factory Husqvarna. Tasmanian Jed Beaton has confirmed he’ll line-up this weekend at Matterley Basin’s second round of the 2019 MX2 World Championship in Great Britain. 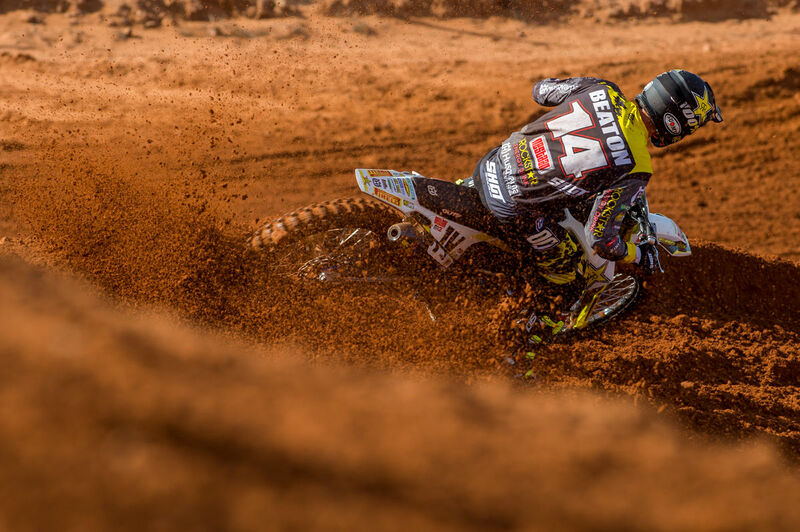 The 2016 Australian MX2 champion, who’ll make his grand prix debut with Rockstar Energy Husqvarna Factory Racing, suffered multiple fractured vertebrae during practice at a pre-season event in France, subsequently ruling him out of Argentina’s opening round at the beginning of the month. Recommencing riding this week, Beaton avoided a lengthy period off the bike, experiencing just a short three-week recovery that has allowed him to return with minimal loss of form. “It was a short recovery process, but to be honest, I think it would’ve been longer if I didn’t try everything I could to be back on [the bike] sooner,” Beaton explained to MotoOnline.com.au. “I had four days of rest after the crash and was back into my normal off the bike training, plus swimming to keep all the muscles moving around the area, and I believe doing that helped a lot. In 2018, Beaton’s season was cut short at the Matterley Basin venue after suffering heavy fall that broke both of his legs. His earlier performances, which included a podium, earned him a spot on the factory Husqvarna team. This season he’ll be joined in the world championship by compatriot Mitch Evans (Team Honda 114 Motorsport), while triple Australian champion Dean Ferris will make a guest appearance at the next three rounds.